Behind every beautiful aquarium is an algae scraper and gravel vacuum. These products will help you maintain a healthy environment for your fish and keep your aquarium looking great. Remember that maintenance is an ongoing thing - even the best products won't keep your tank clean if you don't use them regularly. A thin layer of algae can be scrubbed away with a few swipes of a sponge or cleaning brush and warm tap water. Crusted-on algae, however, can require the use of chlorine bleach for complete removal. Fill a bucket with a nine to one mix of water to chlorine bleach. For example, mix 9 cups of water with 1 cup of bleach. Soak the aquarium rocks and decorations in the bucket of cleaning solution for about 15 minutes. Scrub the rocks and decorations with a soft-bristled brush or sponge, then soak the decorations in clear water for 15 minutes. 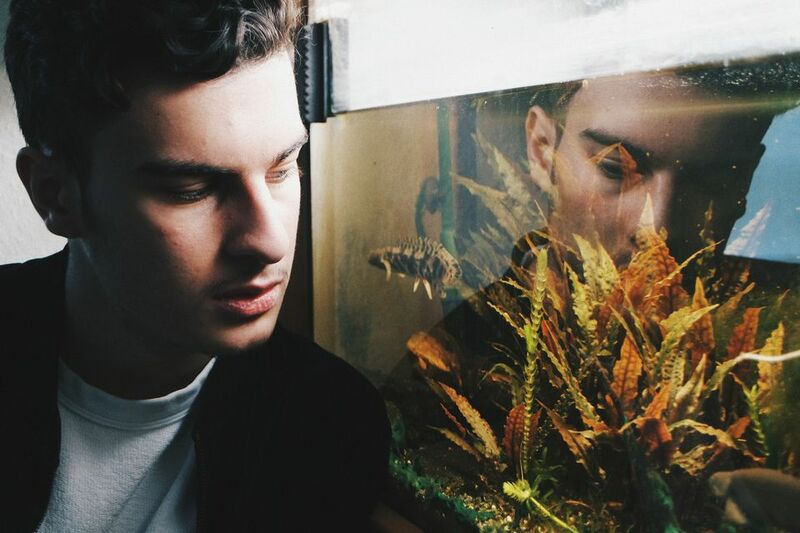 Let the aquarium decorations dry completely before putting them back in your aquarium. Expect it to take at least two days for the items to dry. If the rocks and decorations are coated with a crusty layer of calcium buildup, distilled white vinegar is a natural cleaning product you can safely use on items for your fish tank. It takes some time to start working, but white vinegar softens the crusty layer so you can wipe it away. Use the white vinegar as a straight soak for several hours, making sure everything that is encrusted with calcium is submerged. Scrub the rocks and decorations with a soft or medium bristled brush to remove the calcium layer. Rinse off the vinegar with cool tap water, then let the decorations dry completely before using in the fish tank. 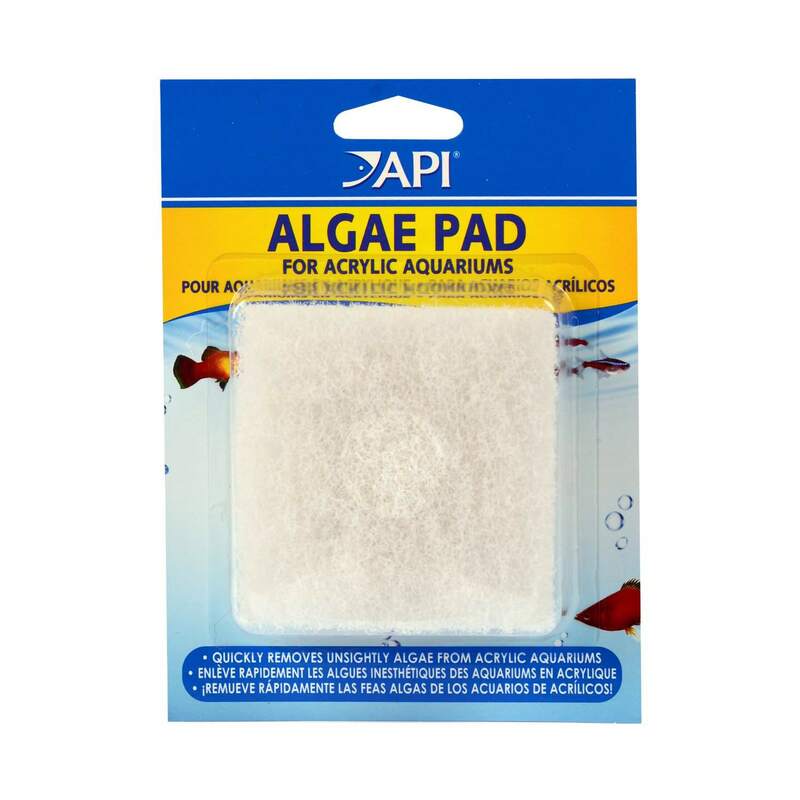 Is it necessary to purchase algae pads at a pet shop instead of the local department store? Yes! Although the pads may look the same, there may be soap or chemical residue in them from the manufacturing process. Soap or chemical reside can be lethal to aquarium fish. Tired of sticking your whole arm into the tank to clean the glass? A magnetic glass cleaner is just what you need. Tip: bigger isn't better. Opt for the smaller ones, as they are more maneuverable and don't fall off the glass as readily as the larger variety. The algae scrubber was invented by Dr. Walter Adey, who beginning in the late 1970s, was Director of the Marine Systems Laboratory at the Museum of Natural History, Smithsonian Institution (Washington DC, USA). His research of various types of algae, especially in their ecological role on coral reefs, gave him insight into how the ocean (in particular a reef) "recycles" nutrients. He designed and built various exhibits ranging in size up to 3000 gallons, and modeled different aquatic ecological systems including a tropical coral reef/lagoon which "after 8 years of closure [to the environment], had its chemical parameters controlled solely by an algal turf scrubber. Nothing takes algae off glass like a good scraper. A metal razor works well on glass aquariums, while plastic is safest for acrylic tanks. Dr. Adey built several versions of algae scrubbers for aquariums at the Smithsonian. He called them "Algal Turf Scrubbers", because at the time it was believed that "turf" algae was the best type of algae to grow in a scrubber. He also was granted the first U.S. patent for a dumping-bucket algae scrubber, which described a complex dumping device that poured water onto a horizontal surface, thus simulating waves in a reef environment. At one time or another, everyone gets that stubborn lime buildup on the light, hood, and lid. Standard cleansers can be hazardous. Use a lime cleaner that is made specifically for aquarium use. The outside of the aquarium requires special cleansers to keep it clean and attractive. Although marketed for reptile cages, these handy wipes are safe and easy to use on your aquarium glass and other external parts. Your living room carpet isn't the only thing that requires vacuuming. A good siphon makes short work of cleaning the gravel in your aquarium. My personal choice is the python, which attaches to any faucet and eliminates the need for buckets and manual priming. Nets are often overlooked when performing aquarium maintenance. Using net soak will prevents transmitting disease, and prolongs the life of your fish nets. When cleaning the filter, the right brush is everything. Be sure to have a filter brush on hand to get into those tight spaces.